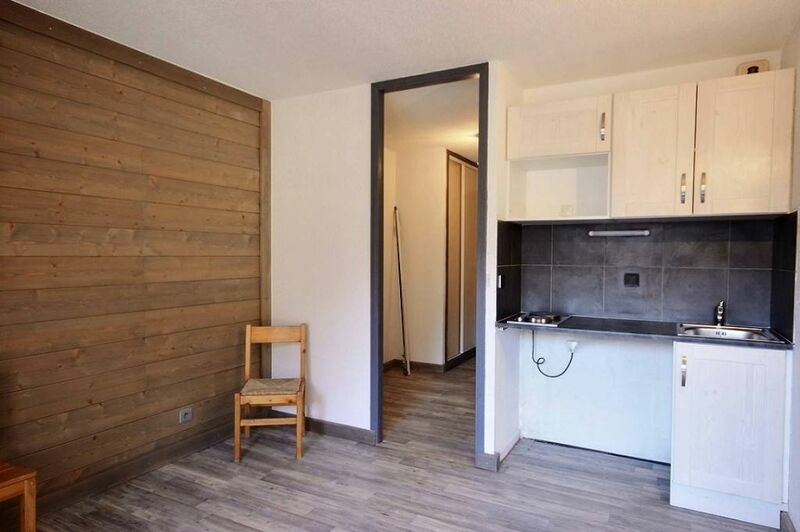 In a nice residence with lift in the centre of Bourg St Maurice, nice studio with an entrance to put bunk beds, a living area with small kitchen and balcony, a bathroom and a toilet. Nice views, facing East. Cellar and ski locker. Close to the shops, the station and the funicular.